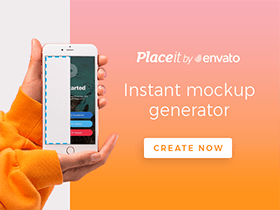 Here is a flat design user interface inspired to a PSD freebie by GraphicBurger. 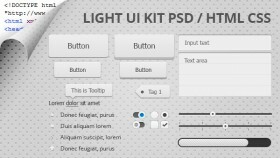 This HTML5 + CSS3 ready-coded template is not complete yet. 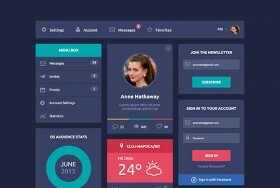 Responsive Flat UI kit is a ready coded HTML custom UI set built to work with and sit next to Bootstrap 3. Created by Catalin Rosu. 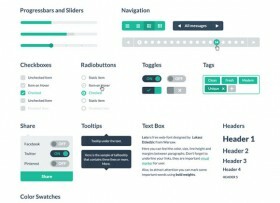 Flat UI Free is an awesome HTML UI kit containing a lot of useful web elements for your web projects. 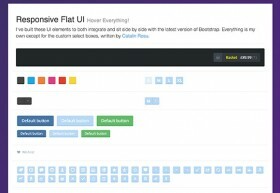 It has been made with Bootstrap.